In her last, most profound and poignant Moomin story, Jansson explores themes of loss, legacy and hope. The Moomins have left their beloved Moominvalley but as winter draws near Snufkin, Mymble, Toft and others move into the Moominhouse to await the family's return. Could that gentle flicker of light on the horizon be their boat? The Finnish artist and author Tove Jansson (1914-2001) wrote and illustrated her first Moomin story, The Moomins and the Great Flood, in 1945 as a form of escape from the dark shadows of war. 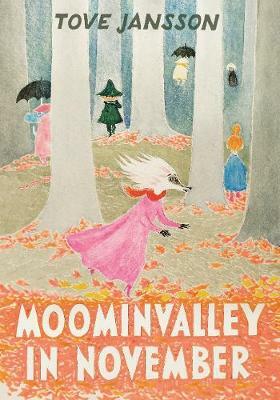 By 1970, when the last in the series, Moominvalley in November was published her books had become world famous. 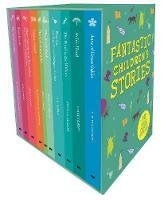 The eight Moomin titles would be translated into over fifty languages and remain in print for the next six decades. Tove Jansson lived in Helsinki and a tiny island in the Gulf of Finland which she shared with her life partner, the graphic artist, Tuulikki Pietila.